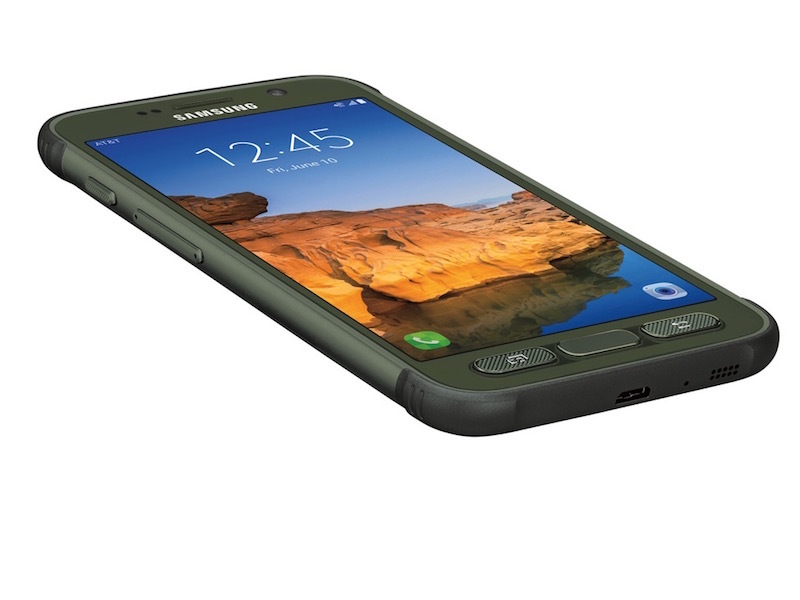 Samsung has taken the wraps off of its more rugged variant of its flagship Galaxy S7 smartphone. The company has partnered with AT&T exclusively on the Galaxy S7 Active, which will go on sale beginning June 10. It was assumed that AT&T and Samsung would launch a successor to last year’s Galaxy S6 Active, and like clockwork, the Galaxy S7 Active began to make headlines when it was revealed in March that AT&T was testing an unannounced smartphone on its network. The first image of the camouflage-themed smartphone popped up in May and confirmed that it would be true to its “Active” name and swap out the Galaxy S7’s more delicate metal and glass design for a rugged plastic body and shock-resistant rubber bumper surrounding the device. A few days later, a smartphone believed to be the Samsung Galaxy S7 Active made an appearance on GFXBench, where its main spec details were leaked, including a 5.5-inch 2560 by 144 quad-HD display.